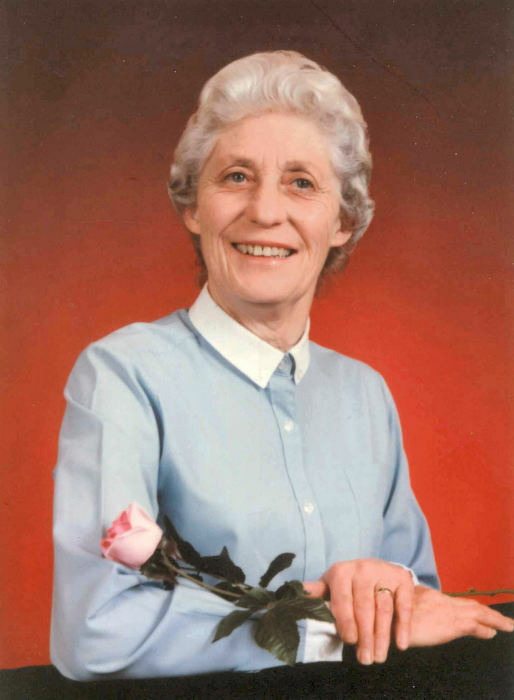 Obituary for Louise O'Neill | Westlock Funeral Home & Crematorium Ltd.
Louise O’Neill of Westlock, AB, and long time resident of the Whitecourt area passed away suddenly at the age of 83 years on April 8th, 2019. She is survived by one son Terry (Pat) of Grande Prairie, AB, grandchildren Landa and Kyle, both of Calgary, AB and great grandchildren Khoal, Hannah and Rhys, as well as numerous nieces, nephews other family and friends. She was predeceased by her husband Edmund in 2015, son Craig in 1976, sister Betty in 2012 and her parents Jack and Elsie Knight in 1972 and 1996. She was born in West Williams Township, ON on May 5th, 1935. She married Edmund in 1954 and resided and farmed in the area. She also worked at a farm equipment dealership and drove school bus for many years. After the death of her son Craig they moved to Whitecourt, AB to be closer to their son Terry and his family. They started a Janitorial Business which lead to security clearances to work for RCMP Administration for many years. They were once again bitten by the farming bug and purchased another farm in 1981 and actively raised cattle until 2008, at which time they retired to Westlock. She always had the coffee on for friends and neighbors and was ready to sit and visit. She will be dearly missed. At her request, no service will be held. Cremation has taken place and her ashes will be buried with Edmund and Craig in the West Williams Cemetery at a later date. Memorial donations may be made to STARS or the charity of one’s choice. We would like to express our gratitude, to her friends at the Parkview Plaza Senior Apartment for their care and compassion.